Bloody homebrewers making weird things......haha. Love the article and the oat milk addition is actually kind of genius when you think about it. I'd love to see it used in an oatmeal stout in place of the oats. I also wonder in that case if it would come out looking like mud or if gelatin could be used. IME oats in a dark beer has never caused haze and they've tended to have good. Parity based on what I coudld see. It worked surprisingly well in this beer, after a day or two in the keg its gotten even better. I think the milk would be an awesome addition to an Oatmeal Stout, the darker color should hide the haze a little and the Oat flavor is pretty potent. I think I'll have to add the milk to my next Oatmeal stout. I have a question though, what sort of gravity contribution did it offer? And increase? Decrease? Stay the same? Or did you not measure? I cant remember how to calculate the changes if neded. I also wanted to check the active ingredients in your oat milk (I suspect the milk in this coutnry is a little different) is it the normal oats/water/salt or what we have, which has the additional tabioca flour added. 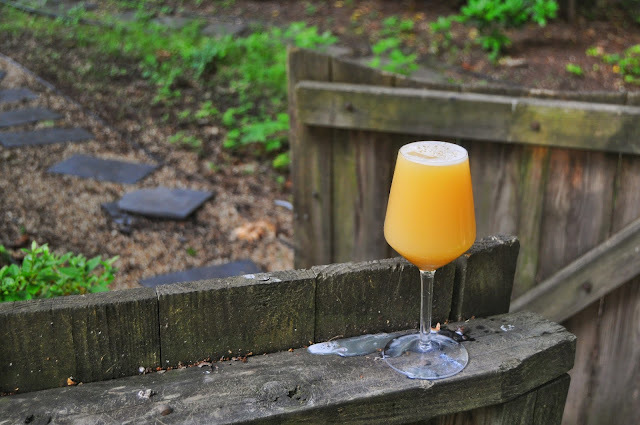 What are your thoughts on the Milkshake IPAs some brewers are making? It seems like oat milk would be a great candidate for that style. Would it make sense to use it in place of lactose sugar in something like that? I love the Milkshake IPAs, Ive had a bunch of the Tired Hands versions. They arent even beer like really, alost more like a cocktail than a beer. Super unique flavor profile. I like them a lot but would never want 5 gallons of it, Ive tried, its just not an everyday beer for me. Thanks for inspiration, great timing as tomorrow i'm making wierd split batch, where i'll split my pils/wheat/oat wort with 10 ibus post boil for lambic typish beer (wyeast lambic blend) and for the rest i was planning to add heavy whirlpool to get extra ibus and hoppiness and oat milk could be great flameout addition to boost oat character and gravity as well. 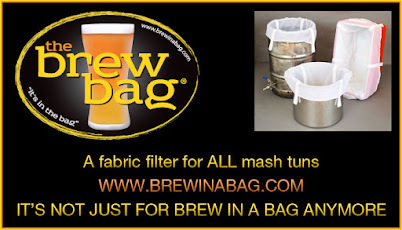 Thats a very good idea, I love doing split batches like that and NEIPA wort works really well for mixed fermentation beers. Run off your sour beer wort than add the oat milk to the raminder, some whirlpool hops and youre set. So since oat milk is made using groats, the oats are pretty much mostly converted and don't need to be 'mashed'? Looks like you got good attenuation just adding the milk straight at the end. Why wouldn't the oat milk be added to the Mash for conversion? From what I understand the oats are fully converted during the process of making the milk. Even if not, the oat milk was added at hot temps for 20+ minutes in the whrilpool, so that should convert it. 1. Fair enough on the production of the Oat Milk and its good to know! 2. However, your second point about conversion in the whirlpool isn't true. The enzymes beta/alpha amylase have denatured and coagulated just prior to, and during, the boiling process rendering them unable to convert anything. They are not heat stable proteins and cannot survive the high temp of boiling wort. No you're totally right, not sure what I was thinking. Brain fart. But what if you cool your wort to 150 or a little cooler and hold it there for 30 minutes, shouldn't take any longer than that to convert. Maybe I'm completely off, maybe the oats milk wouldn't convert, I sort of am wondering if using Oats milk can be used as an Alt to Lactose. Great Stuff here!!! This is an amazing idea. I've went ahead and done the same, added Oat milk to my Beersmith app as an extract. Totally planning on exbeerimenting with it in the near future. Cheers! Given the light color, what would you likely change in the grain bill the next time around to achieve more orange hue? After a few weeks in the keg the heaviest of the murk fell, and it ended up hitting the color spectrum I wanted. I think I may gelatin or cold condition a week or so before drinking it since it was so murky. How did you find out that the oat milk was 14% of your fermentables? If the gravity of the oat milk was checked and came in at 1.046 then it was converted during processing, no? @HH2O I believe that is how he calculated that it was 14% of fermentables. Ed - I'm looking forward to your forthcoming posts on kveik. I was just listening to Bob Marley and drinking kveik. It really pairs well together. what are your thoughts on using coconut milk instead of oat milk? How was fermentation with the oatmilk? I found there was minimal to no krausen. I did a split batch, one with London III and the other with Dry Hop. Am I missing something here? When adding Oat Milk to BeerSmith (I'm using BeerSmith 3) as an extract, you can only do so by inputting the amount in terms of weight (lbs). If the gravity is 1.046, and let's say its weight is relative to that of water (8.34 lbs per gallon), then 1 gallon of Oat Malt = 1.046 x 8.34 lbs = 8.72 lbs. So .75 gallons of Oat Malt weighs 6.54 lbs at a SG of 1.046. When you type that in to BeerSmith along with the rest of your recipe, I get nowhere near 14% of the malt bill. More like 41.4% and a giant OG of 1.097.